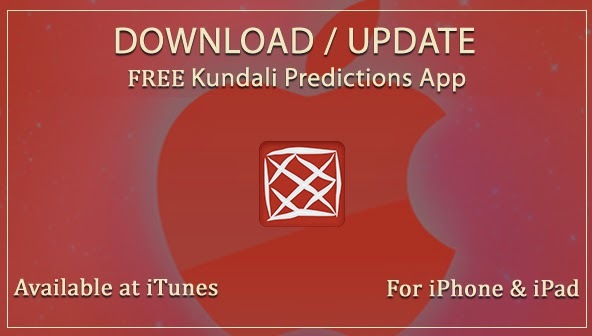 AstroSage Magazine: FREE Kundali Predictions App Is Now At iTunes! AstroSage’s Kundali Prediction App is available for FREE at iTunes. So, iPhone and iPad users, it’s the time when you can keep entire astrology on your fingertips. Create Kundalis and become your personal astrologer! Check here, what all this amazing app contains! AstroSage has brought yet another revolution for you with our new FREE Kundali Prediction App for iPhones and iPads. We have been able to combine tradition with modernity and came up with this App. Not only this, the app is also available in Hindi language, apart from English. 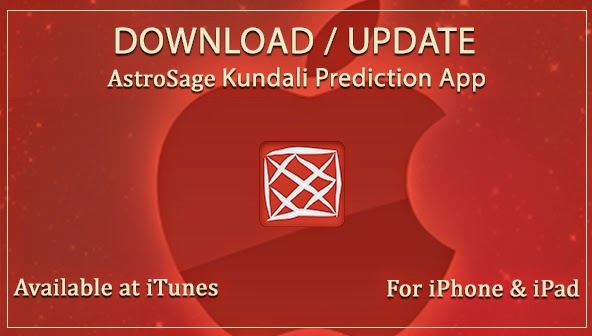 Let’s take a look at the gorgeous features of AstroSage’s Kundali Prediction App. Kundali: Make your detailed birth chart based on Hindu astrology/Indian astrology/Vedic astrology. For more details, refer to image 1. Gives Daily, Monthly & Life Predictions: Now your personalized horoscope is under your finger tip. For more details, refer to Image 2. Life predictions: It gives you reading for your character, happiness & fulfillment, lifestyle, career & occupation, health & disease, hobbies, love matters and finance. For more details, refer to image 3. Transit Horoscope: Know impact of transiting planets on your birth chart with Gochar Phal report. This is not Rasi Palan but impact of Gochar on your birth chart. Transit predictions for all nine planets viz Sun, Moon, Mars, Mercury, Jupiter, Venus, Saturn, Rahu and Ketu. AstroSage Cloud Storage Space: Store your charts on AstroSage Cloud, so that you can open your charts from your Mobile, Tablet, Laptop, or on Internet. Planet positions: Know the planetary positions which were prevailing at your birth time or at the time of query. Shodashvarga chart details: Get the details about all the sixteen divisional charts. KP System functioning: Krishnamurti Paddhati, KP Horary, Planet Signification, House Significator, Ruling Planets. Planetary and Cuspal positions up to Sub-Sub Lord, KP New Ayanamsa. Mangal Dosha / Kalsarpa Dosha: Know presence of Mangal Dosha and Kal Sarp Dosha in your birth chart and get to know the remedies for the same. For more details, refer to image 5. Gemstone report: Know the lucky gemstone for you, according to Vedic Astrology. Nakshatra Report: Reveals everything your constellation (star) tells about you. Ascendant Details: Know astrology reading for your rising sign or ascendant here. Shani Sade Sati report: Know the impact of Saturn (Sani) Sade Sati for your whole life. GPS Support: Create Kundli on the basis of his/her current location. Useful for Horary astrology. We, at AstroSage, put our best efforts to serve you with the best astrological services. With our FREE Apps, we are just trying to help the masses utilize the best of this science. AstroSage Kundali Prediction App is all FREE. So, a try to it will just take some moments of your life. We hope that these moments will be fruitful for you. We will keep on updating you with more of AstroSage’s upcoming production. Till then, have a great time!